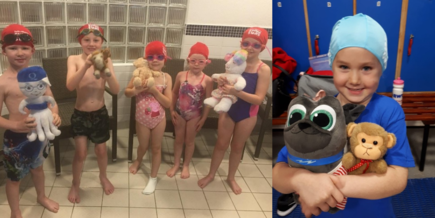 To celebrate National Hug a Bear Day, we asked all our swimmers to bring in their favourite teddy bears to watch their lessons. It was a huge success and great fun, with lots of children taking part and bringing their teddies along! We saw lots of teddies in all different shapes and sizes, from big to small and from elephants to unicorns. We absolutely loved seeing everyone’s favourite teddy bears and having them there to watch our super swimmers. Thank you to everyone who took part and brought a teddy bear along!